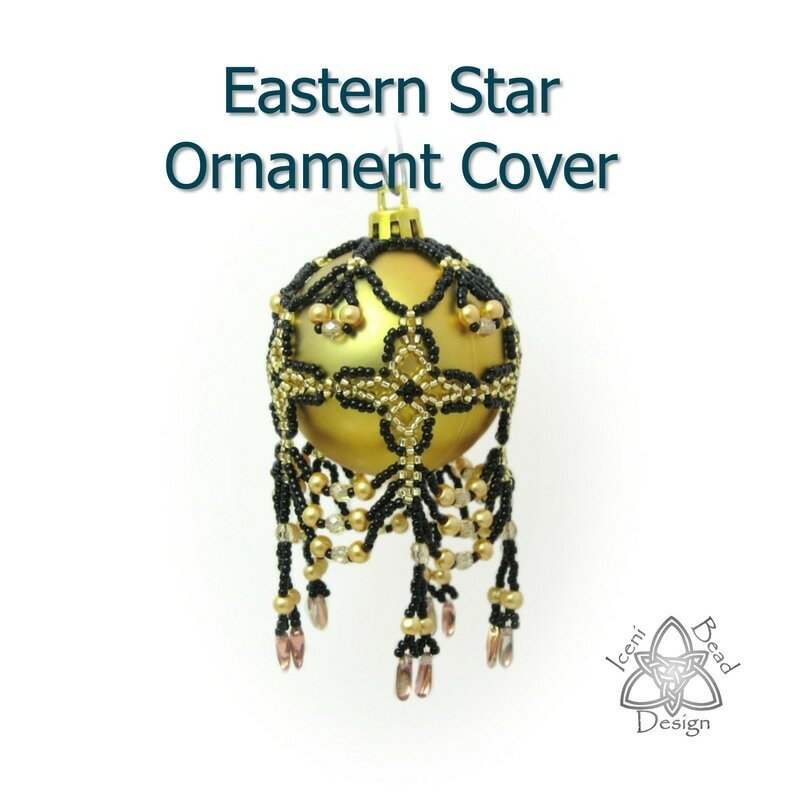 This beaded ornament cover is so tactile, you can't help but brush the fringe as you walk past. 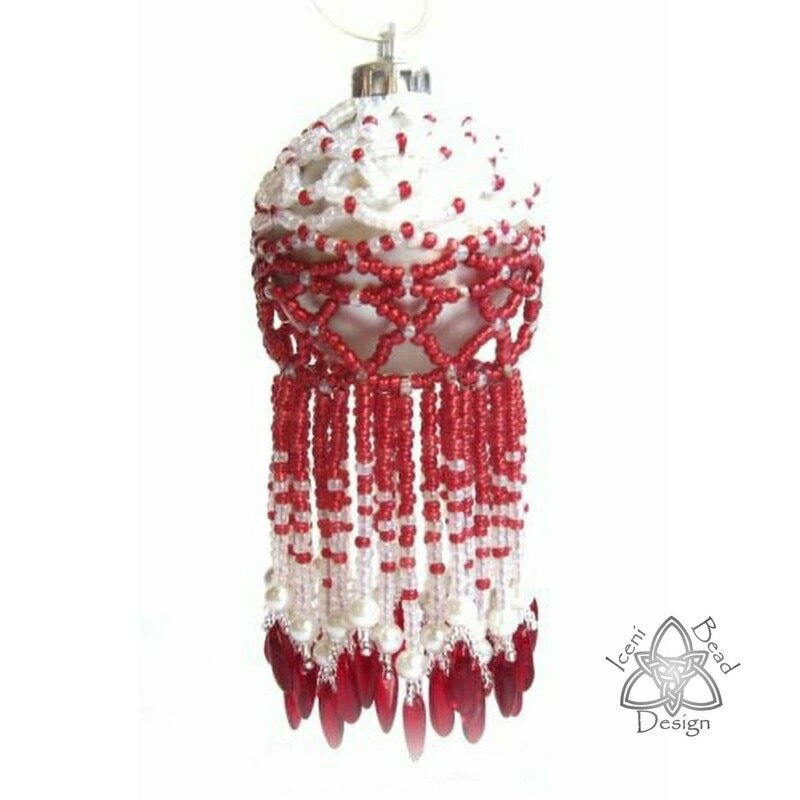 Made with seed beads and glass daggers, and optional glass pearls, this makes a beautiful addition to any Christmas tree. 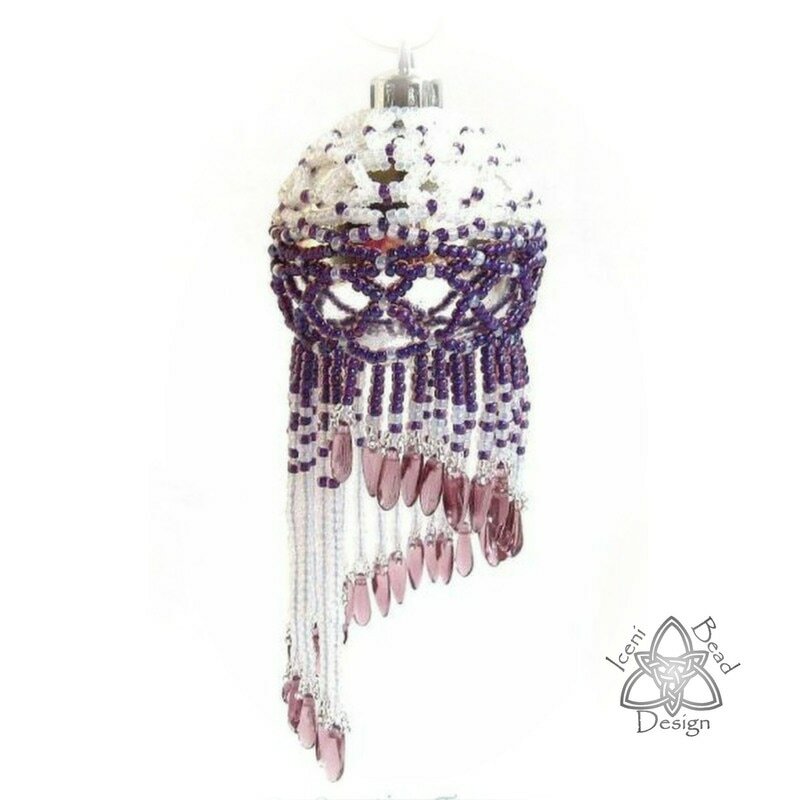 This tutorial contains detailed diagrams and photographs to back up the written instructions with a choice of fringes. About 4 yards of Fireline 6lb test, c-lon size D, Nymo, K.O. 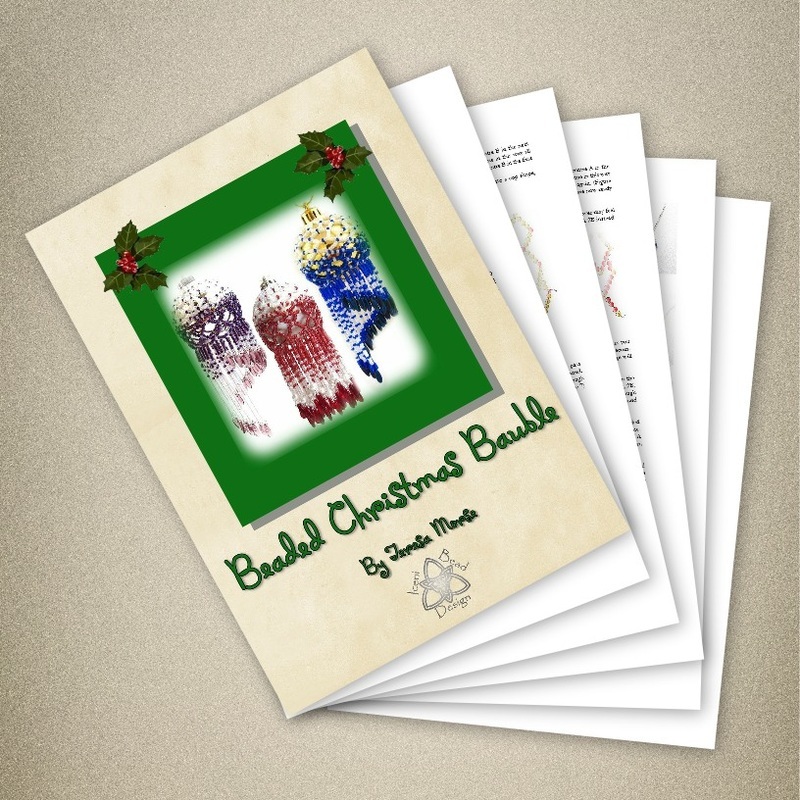 or your preferred thread.